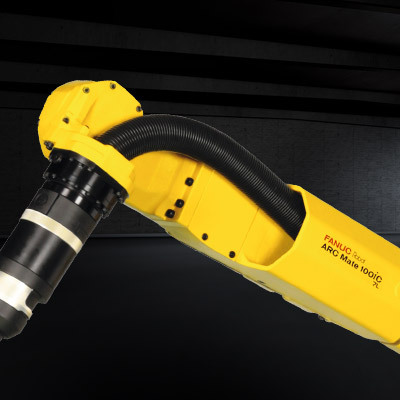 Ultra economical and benefiting from an optimised working envelope, this model makes light work of a wide variety of high-speed welding and cutting tasks. In addition, for maximum protection the welding harness is routed through the hollow wrist and J3 arm. The hollow wrist and J3 arm provides for the arc welding harness being routed inside the robot arm. 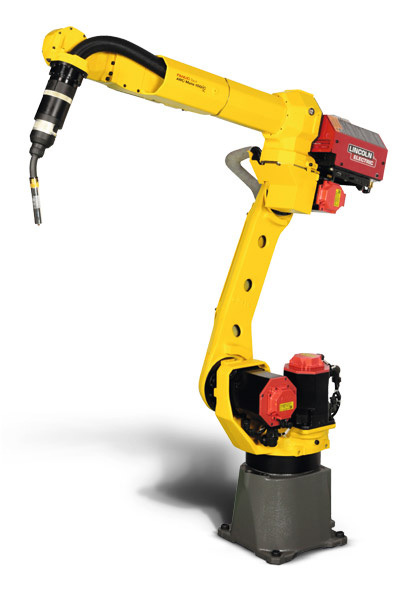 Flexible and easy to install, this model is a great solution for arc welding tasks that require an extended reach. 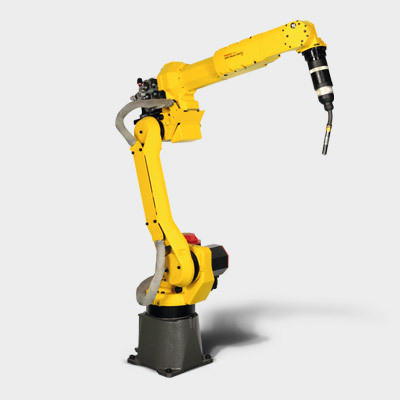 This model features a 1633 mm reach and 1154 mm stroke. 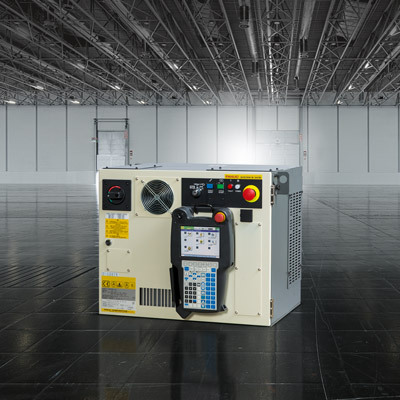 The ARC Mate 100iC and R-30iB controller can be integrated in a welding system that includes the weld torch cable, wire feeder and welding power supply. 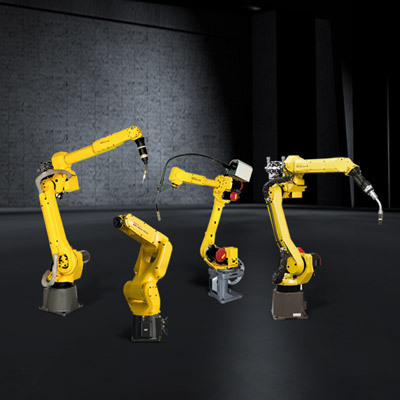 FANUC’s iRVision is a truly integrated, plug-and-go vision system that runs on the standard CPU of every FANUC controller without the need for additional hardware. Makes for easy operation and maintenance and ensures a longer cable life. 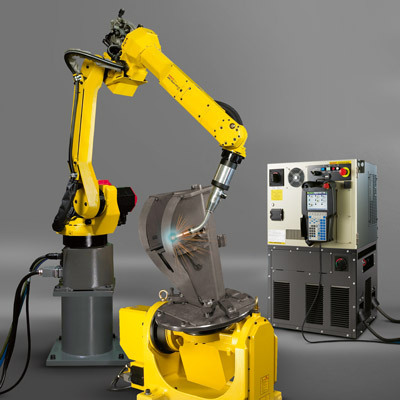 The solution for dedicated arc welding applications such as arc welding, laser cutting, laser welding and soldering. 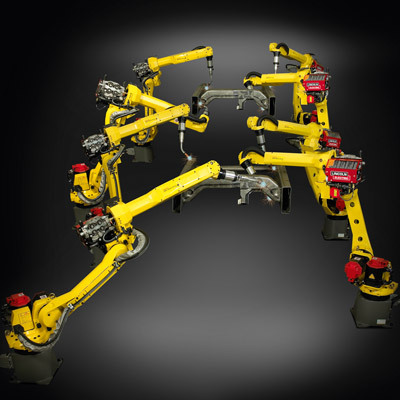 Discover all arc welding models. This cost optimised unit has been designed to keep your investment costs down while providing excellent work rates.